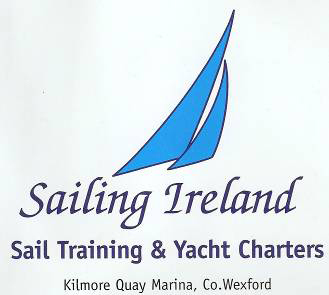 Competent Crew sailing course with Sailing Ireland. and gain a sailing qualification while having great fun. The Competent Crew course is to provide an introduction to the world of sail cruising in a positive and structured manner. The course is as much about getting to grips with living aboard a cruising boat as it is about learning to sail. By the end of the course the sailors should be able to take their place as a competent, safe member of the crew aboard a sailing yacht. At Sailing Ireland we pass on our love of sailing in a relaxed practical manner with the emphasis being to enjoy yourself and gain the confidence to take your sailing on to the next level. No previous experience or knowledge of sailing is required or assumed. Suitable for all ages (15+) and levels of fitness. Your never too old to learn a new skill. 5 days tuition. These days do not have to be consecutive but each of the days tuition must be a full day. Participants may return ashore at the end of each day but you will gain more from sleeping on board. At Sailing Ireland we recommend that the student live aboard in order to get a feel for how a crew/boat operates. This also allows us to sail further and visit other ports in the region and enjoy them. Assessment is continuous through the course. Competent Crew certificates may only be awarded following the successful completion of the course. Contact us as below and we will send you information and tips as well as our booking from with payment details. A deposit will be required to secure your place on the course. seamanship and helmsmanship to the level required to be a useful member of crew of a cruising yacht. and the day to day running of the boat. Awareness of the hazards of fire and the precautions necessary to prevent fire. Working efficiency is unaffected/partially affected/severely affected by seasickness. Methods to offset/overcome Mal de Mere.